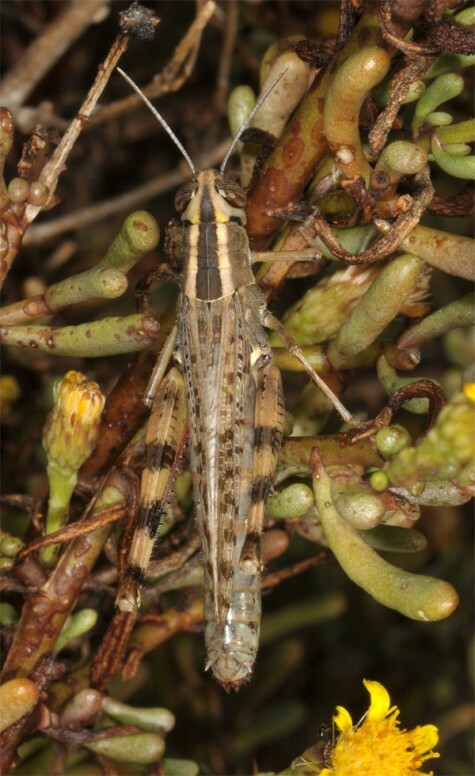 Heteracris adspersa inhabits especially coastal wetlands, margins of brackish water, ditches, dunes, Salicornia covers and similar places. 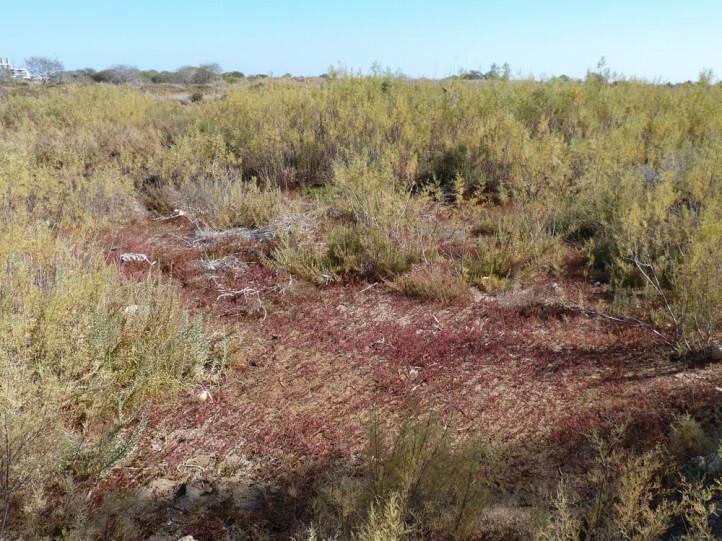 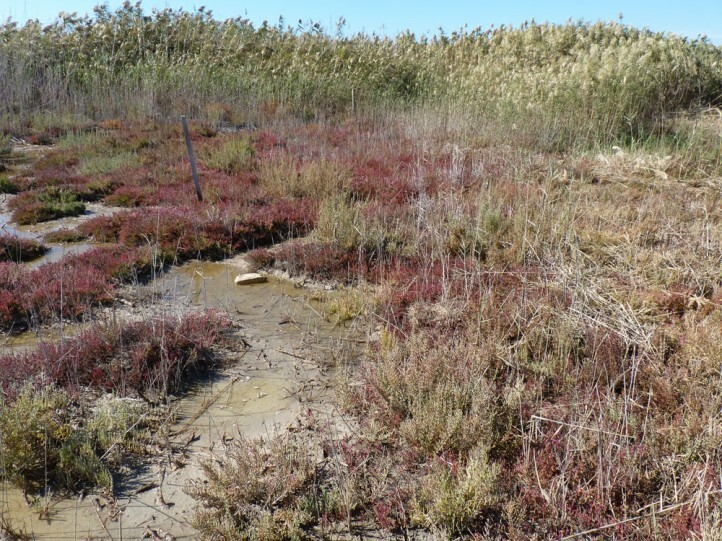 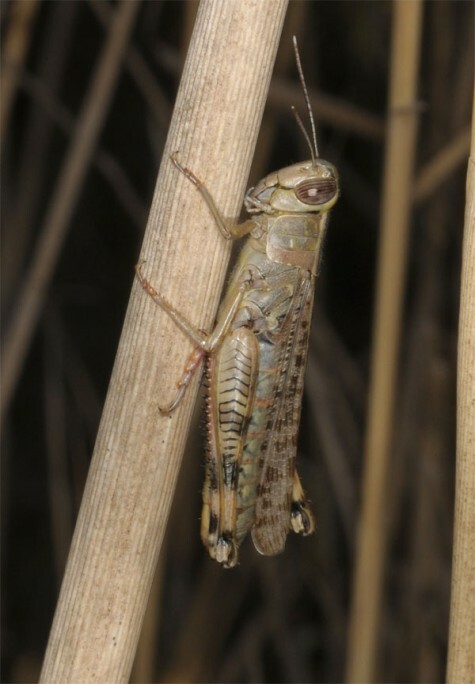 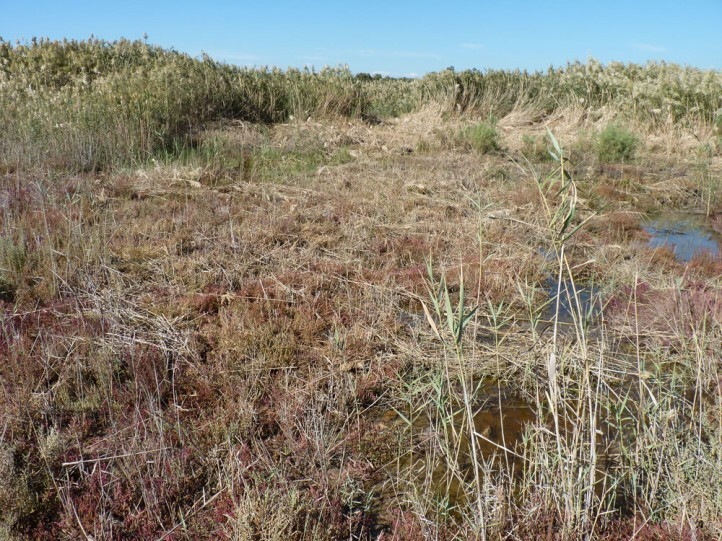 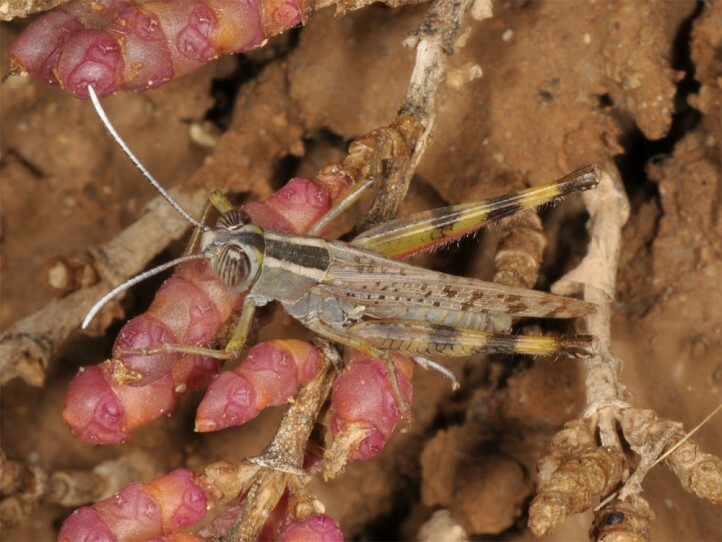 In Cyprus (Akrotiri Salt Lake) Heteracris adspersa was especially common in very moist spots whereas H. littoralis was more common in drier ones. 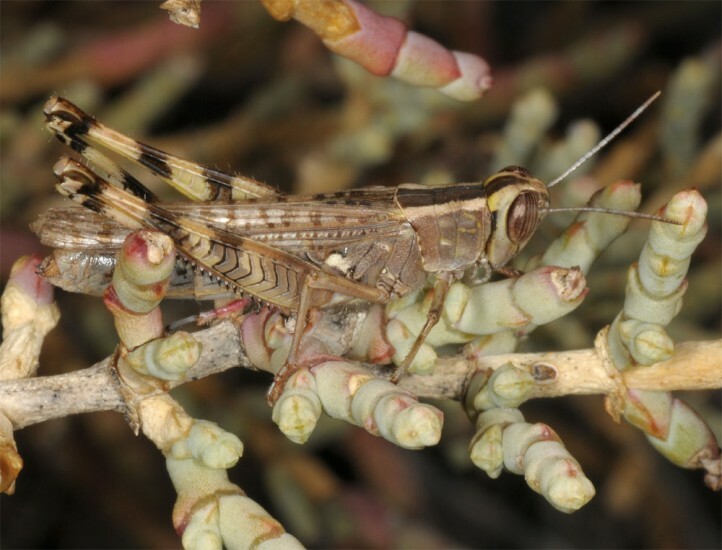 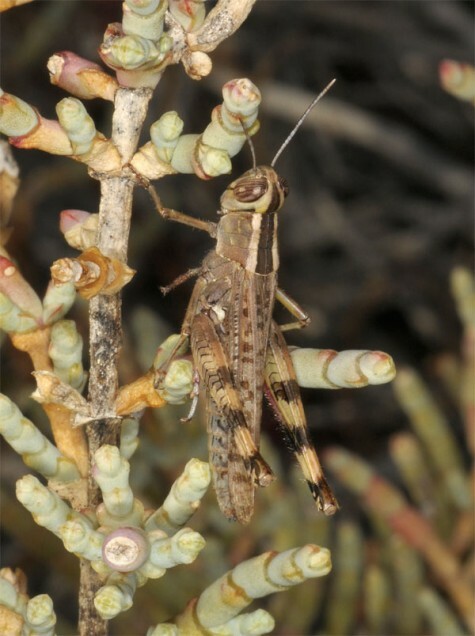 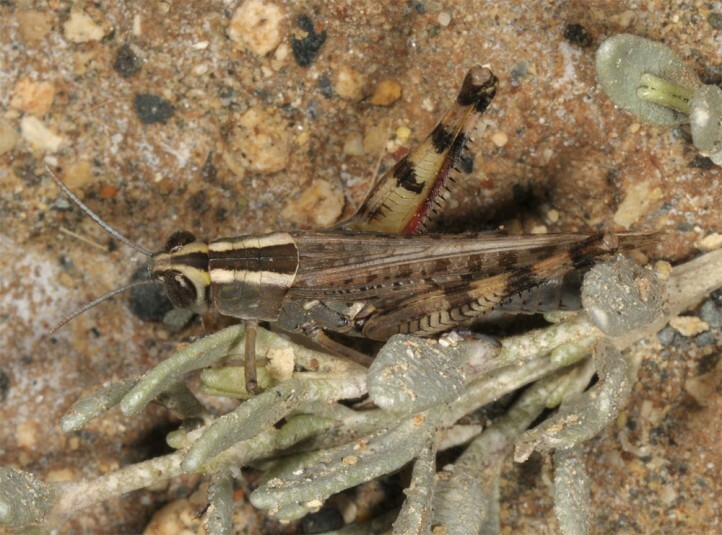 Heteracris adspersa occurs in Africa and parts of Southern Westasia. 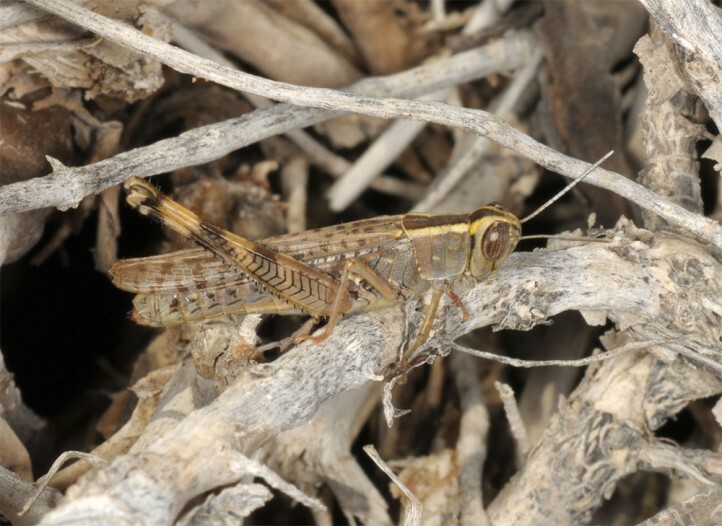 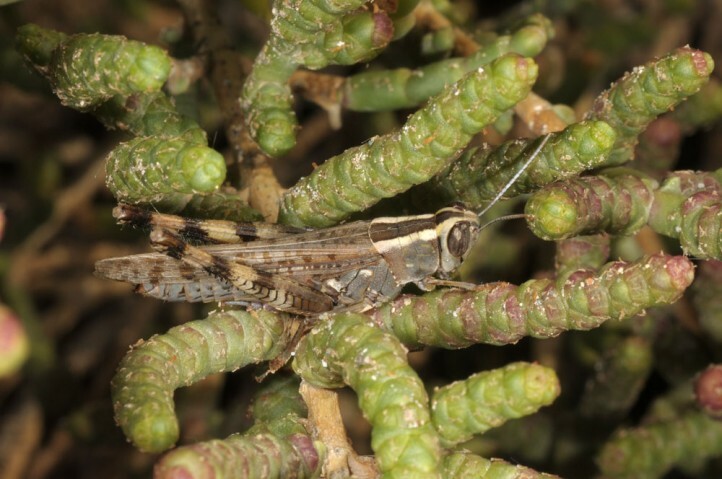 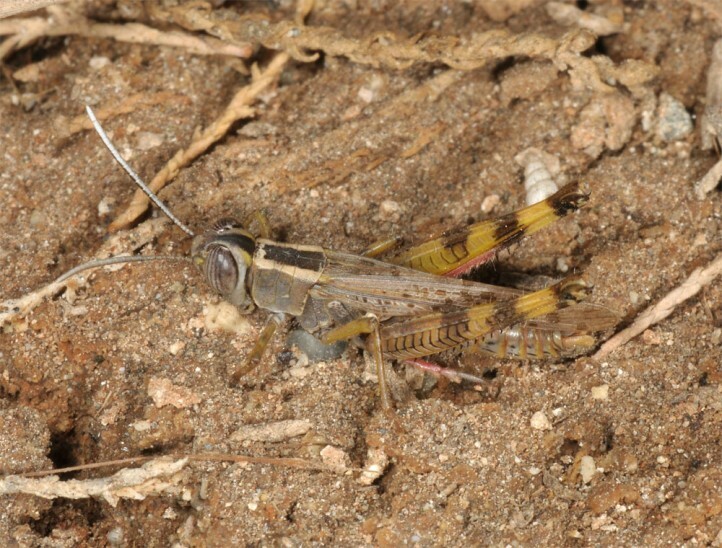 This species is also recorded in Cyprus and parts of S-Europe (e.g. 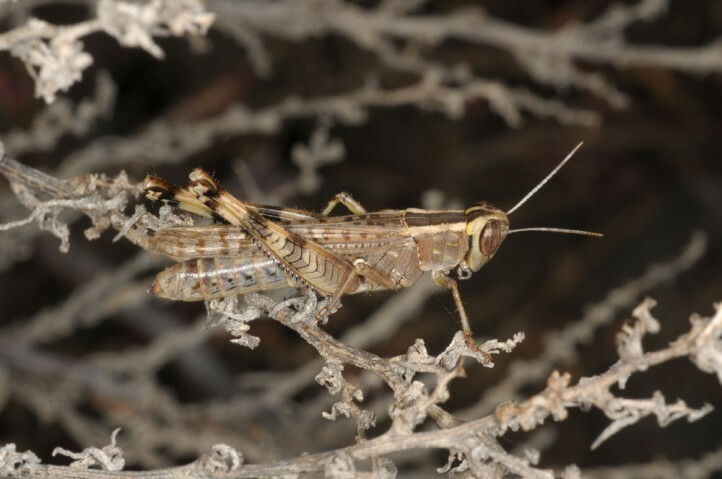 S-Spain, Malta, Sardinia, Sicily). 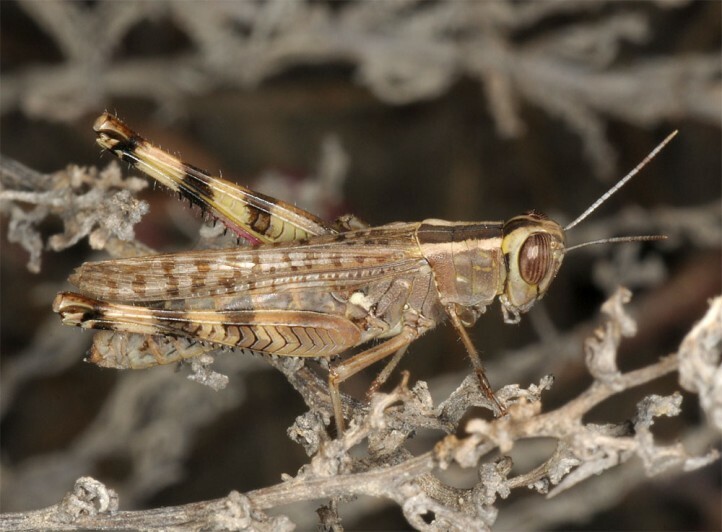 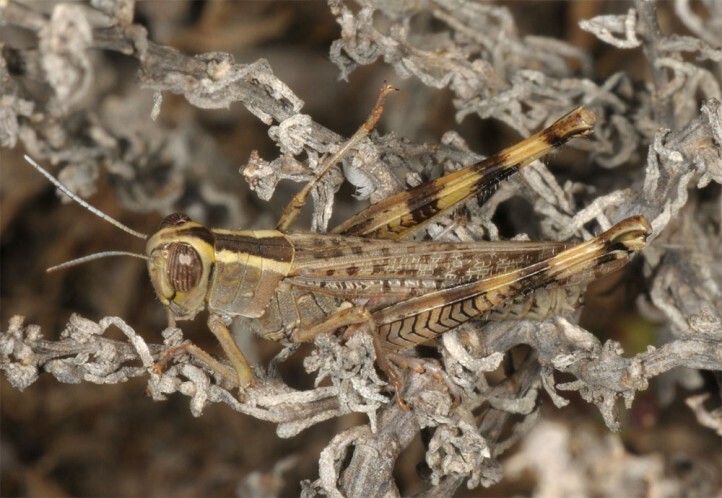 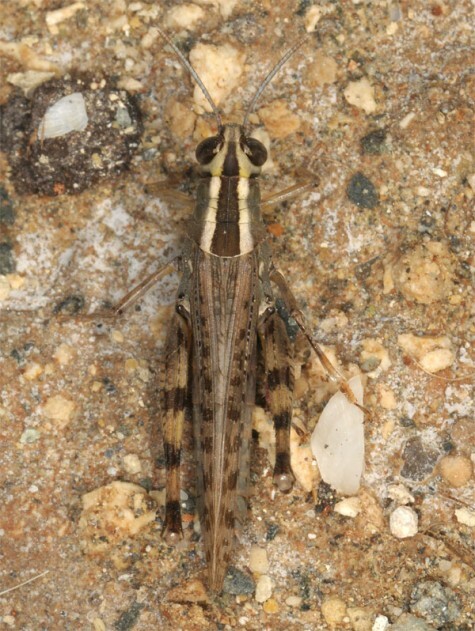 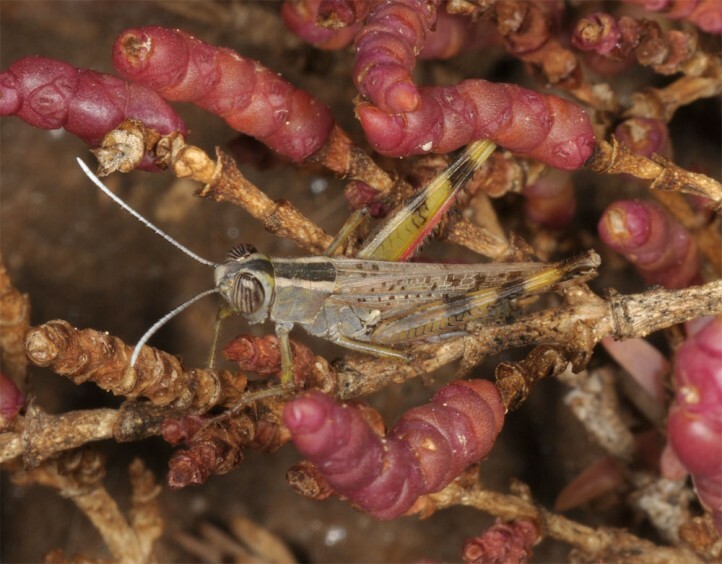 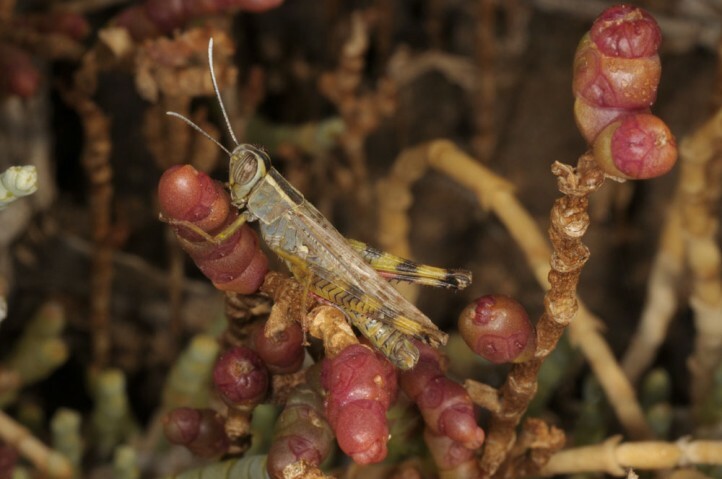 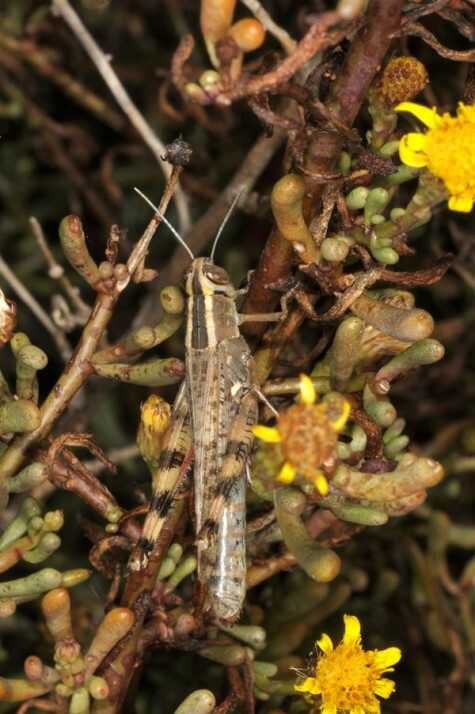 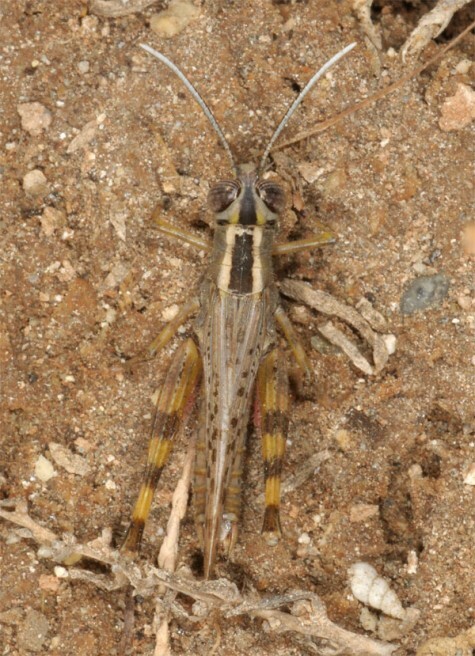 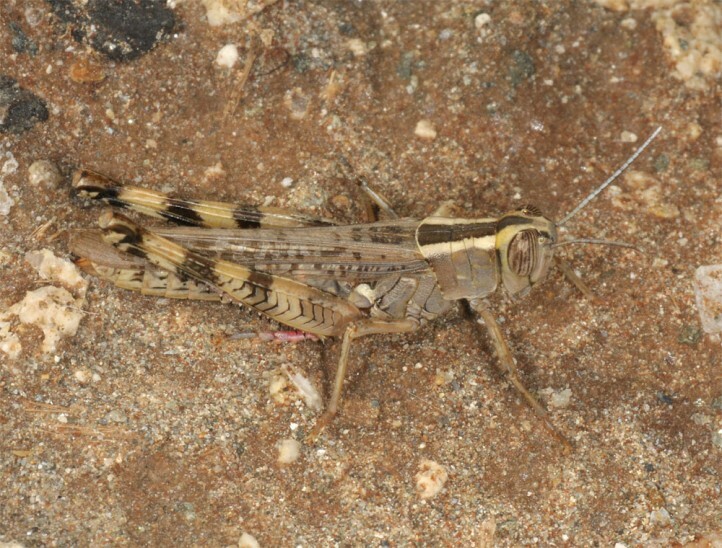 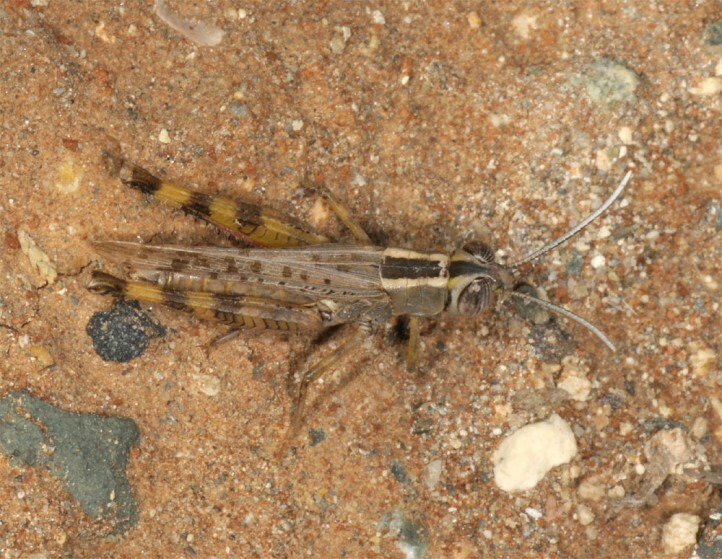 Heteracris adspersa is usually smaller and more yellowish than H. littoralis. 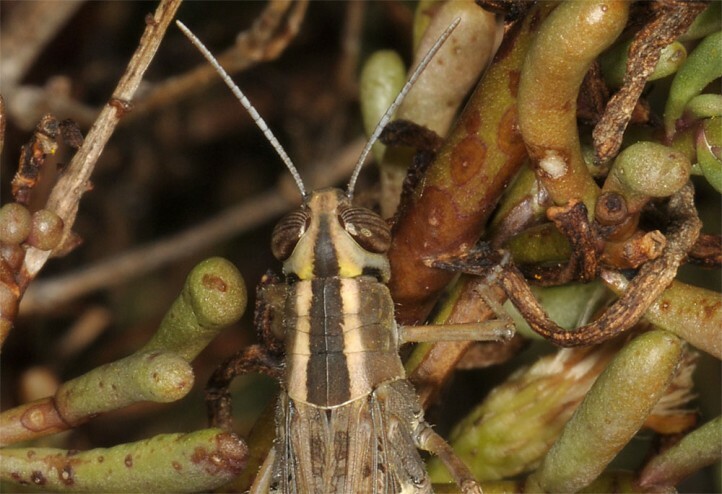 The two yellow spots on the dorsal rear side of the head are characteristic.